Detailing the physical features, habits, territorial reach and other identifying qualities of the Eastern Shieldback Katydid. The Eastern Shieldback is type of native katydid, always carrying an armored plate that seems to do little to protect it. 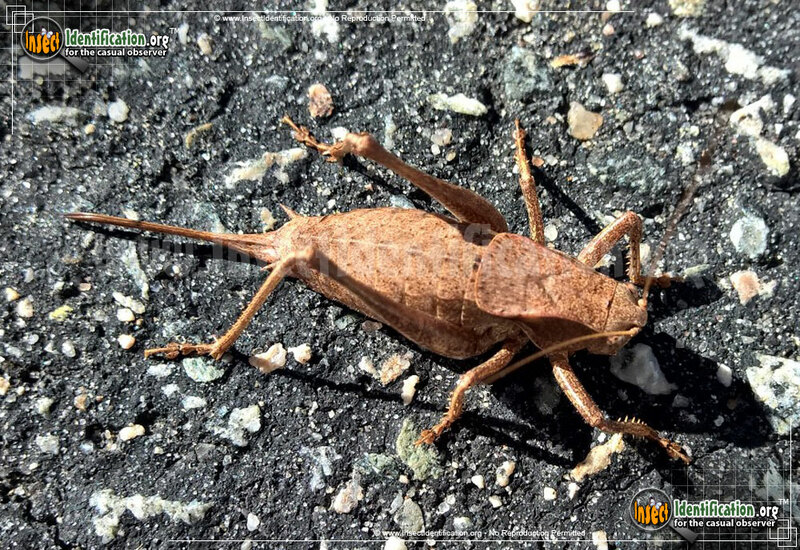 Eastern Shieldbacks are related to crickets and grasshoppers. The flat and wide pronotum resembles a shield. Eastern Shieldbacks are a mottled brown, blending in with dead grasses and leaf litter. Long, powerful legs allow them to jump. They are not able to fly because they lack wings, but they may bite. 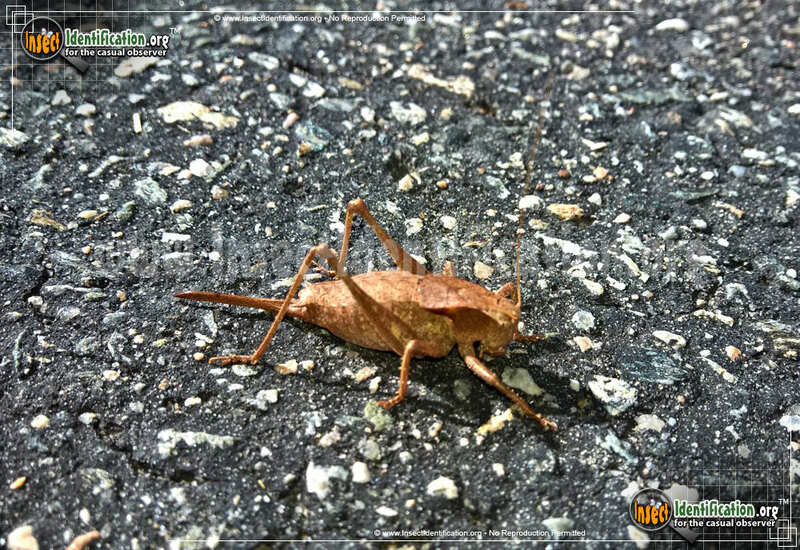 The wingless, exposed abdomen gives this katydid a confusing appearance. Females have a long curved ovipositor protruding from the abdomen. It is not a stinger, though it looks like one. Ovipositors are used to deposit fertilized eggs deep into the soil. Eastern Shieldbacks are not picky eaters and consume a variety of plant matter and insects. They are found in the eastern part of the U.S. in forests and woodlands where they forage. Though they can't fly, their strong legs allow them to leap quite a distance when threatened.